A gimbal stabilizer for smartphones used to be a luxury accessory that most average consumers couldn’t afford. The situation has changed dramatically as we see a lot of manufacturers join the market. It does not only give us more choices but also decrease prices of the products. I actually tried another version of the Zhiyun Smooth-Q 3-Axis Handheld Gimbal Stabilizer last year and quite loved it. 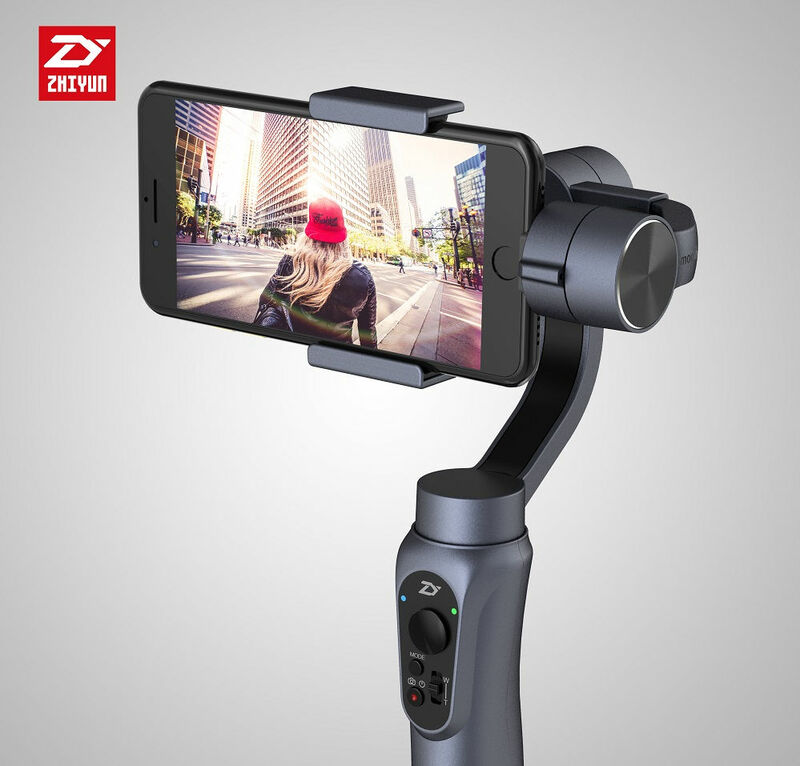 The Zhiyun stabilizer features a new motor that has a better performance and response rate. The whole gimbal is very lightweight at 450g and the maximum load is 220g. The clamp can keep any phone with the screen size from 3.5″ to 6″. Most recent smartphones like iPhone 8/8 Plus, Samsung Galaxy S8/S8 Plus or Note 8 will fit perfectly. The gimbal has a 1/4″ screw to mount to any tripod, a USB port to charge your smartphone, and a microUSB port to charge the gimbal itself. The built-in 26,650mAh Li-ion battery allows you to record videos for 12 hours continuously. The control buttons are also less complicated. now we have a photo/record button, a mode button, a zoom slider, and a joystick to change the panning angle, rolling angle, or tilting angle. The Zhiyun gimbal allows us to take smooth videos when we’re walking or running. It stabilizes motion in 3 axes: pitch, roll, and yaw, so the smartphone is always kept level when we are moving. This results in shake-free footages that you can find in professional videos. If you’re interested in the product, it is currently going on a sale on Tomtop for $139. Moreover, you can use the coupon HYPTWZY to received extra $15 off.